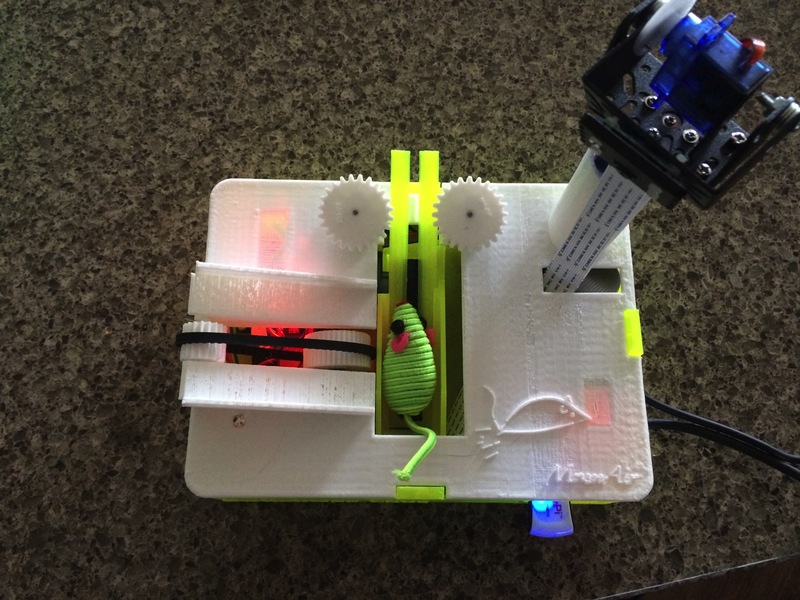 Completed MouseAir Tutorial: A Pi Powered Cat Toy @Raspberry_Pi #piday #raspberrypi « Adafruit Industries – Makers, hackers, artists, designers and engineers! This project write-up from SwitchDoc Labs is great fun to read for all cat lovers out there whose felines fancy fetching fake mice. The MouseAir system is built around a Raspberry Pi controlling all the devices and connected to an iPad based control panel using RasPiConnect via a WiFi connection. We are using a Pi Camera on a pan / tilt structure to capture the cat events, examine the launching mechanism for jams, motion detection and even streaming video. See an early mouse launch here.